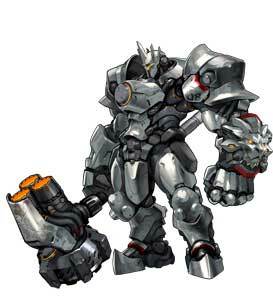 Reinhardt is one of the initially playable Heroes in Overwatch (2016) and is classified as a Tank character. He uses the Rocket Hammer as his weapon for wide ranged melee attacks while he can also create small earthquakes or a Barrier Field. 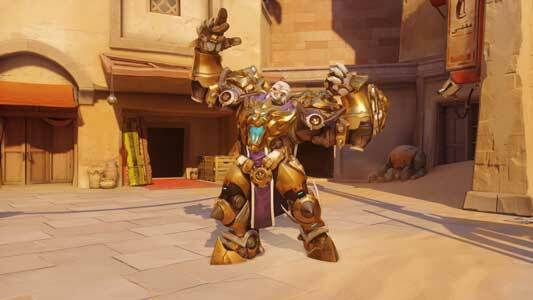 Over thirty years ago, Overwatch was founded to counter the threat of the robot uprisings around the world. 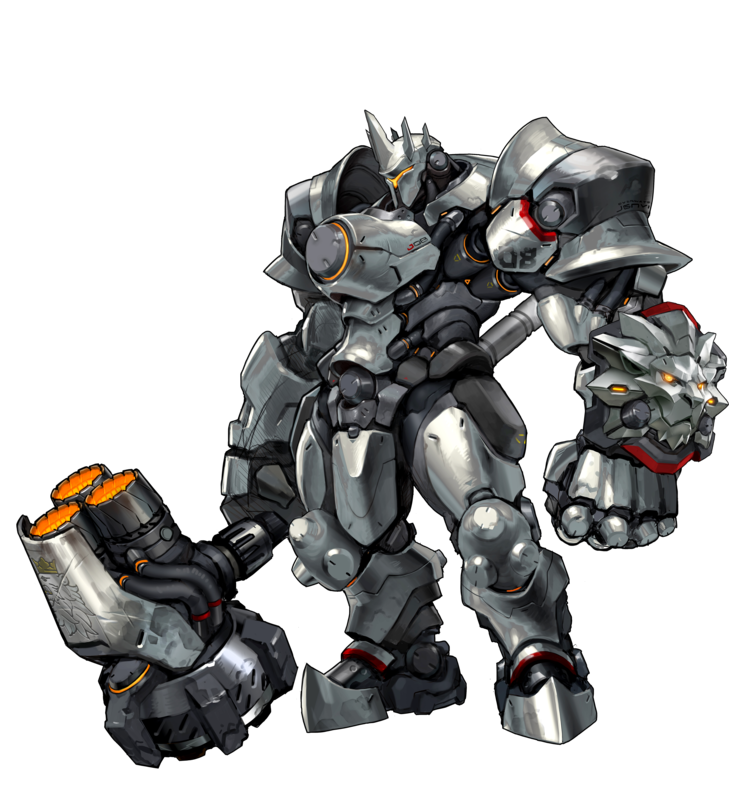 Reinhardt, a highly decorated German soldier, was inducted as part of the original Overwatch strike team that put an end to the Omnic Crisis. 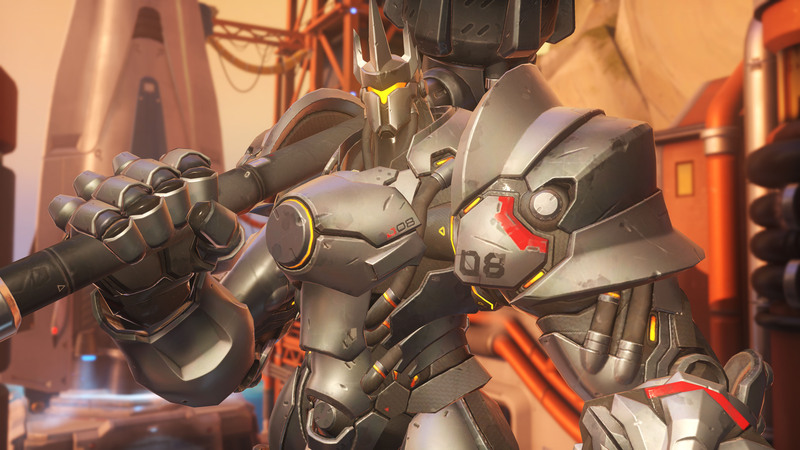 After the conflict’s resolution, Overwatch grew into a global institution, keeping the peace in a war-torn world. 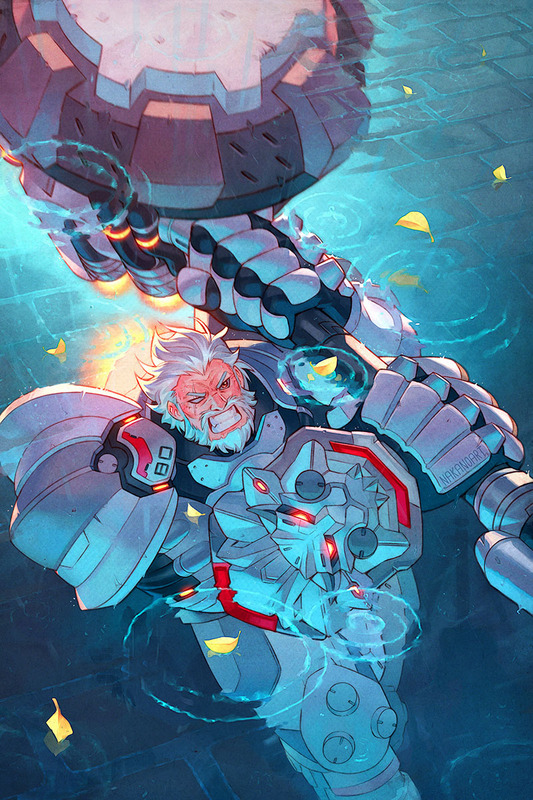 Reinhardt proved himself to be one of its most stalwart champions. Reinhardt’s unique ethics and larger-than-life persona earned the admiration of his peers and superiors alike. 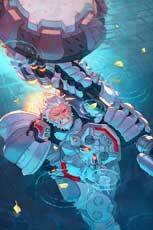 Never afraid to speak his mind, he was Overwatch’s most vocal supporter and, when necessary, its harshest critic, providing a constant reminder that Overwatch was meant to be a force for good.